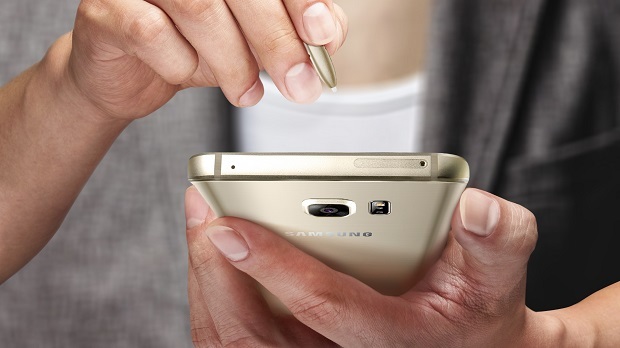 The #Samsung #Galaxy #Note5 is the first model in the series that sports a premium looking design. While the other previous models in this series relied mostly in a plastic construction and had a removable battery this model uses a metal chassis and has a non-removable battery. Released in 2015, this phone was one of the most powerful Android devices back then. Today, a lot of people are still using this phone since it can still perform quite well. There are however instances when certain issues can occur on this device which we will be addressing today. In this latest installment of our troubleshooting series we will tackle the Galaxy Note 5 will not charge through charging port issue & other related problems. Problem: Hey, my note 5 will not charge through the USB port. I have tried several things on your site and others, but am still having the problem. It charges fine with a wireless charger. I cleared the system cache, but that did not help. I let Gear VR Fully update, and that fixed it for a few hours. Then I disabled all those and the oculus apps, and it stopped charging again. When the Gear VR asked to install again, I let it, and didn’t log in, but it started charging again. This lasted almost 24 hours. I have tried several known good chargers and cords. I can’t start the Gear VR update to test if running all of that again would fix the issue because I don’t have Gear VR and it’s not an app you can just run. I just broke down and did a factory reset to see if that would fix it. It did not. Phone still does not charge. All of this sounds to me like some sort of software/firmware issue since the apps will cause it to spontaneously start charging again, but I’m not a professional so…..whacha think? Solution: Since you already performed a factory reset then this looks like a problem caused by an issue with the charging port. You should try cleaning this port first using a can of compressed air. Make sure to remove any dirt or debris stuck in this port. In case this doesn’t fix the problem then you should have this port checked at a service center. Problem: It started out charging slower than usual then not at all. I have tried a different charger and a different outlet still nothing I even bought a new battery. I have tried the soft reset as well. I also tried the toothpick in the USB, still nothing. Now my phone won’t turn on at all, it was at 53? when I shut it off. Every time I attempt to charge it I get a caution symbol inside a battery sign. Is there anything I can do to fix it? Solution: If replacing the battery does not fix the problem then it’s very likely that the problem is caused by an internal component of the phone that is failing to work, possibly the power IC. The best thing that you can do in this particular case is to bring the phone to a service center and have it checked. Problem: I have a Galaxy Note 5. The phone was working fine until I accidentally let the battery drain to 0%. I charged the phone overnight and it still won’t turn back on. I tried your suggestion about a reboot holding the volume down button and the on button and still nothing. I then plugged it into my computer. The battery charge button appeared (just like it did last night) and then disappeared. Do you have any suggestions? I am not sure of the software version but I kept it updated. Thanks for your help. Solution: What you will want to do first in this case is to clean the charging port of the phone using a can of compressed air making sure to remove any dirt or debris stuck in the port. Once this is done connect your phone to its charger then let it charge for at least 20 minutes. If the phone still does not charge then proceed with the following steps listed below. Try charging the phone using a different charging cord. Check if your phone charges from a computer USB port. If it charges this way then one of the pins of the port might be faulty. If this is the case you will need to bring the phone to a service center for checking. In case the above steps fails to work then you will need to bring the phone to a service center and have it checked. Solution: It looks like the serial number IMEI of the phone has been corrupted. Try to check if this is the case. If your phone does not have the correct serial number or IMEI then this means that the EFS folder of the phone is damaged. To fix this you will have to flash your phone with its updated stock firmware file using Odin. You can download the firmware file of your phone from the Sammobile website which is where you will also find the instructions on how to flash your phone. Problem: Hello there, I have had my Note 5 for around a year or so. However today I was using it all morning fine then I went to use it again and the screen went black and is lightly flashing Samsung with a pale blue lighting up the LED notification spot. I tried holding down the home button and the lock button to reset it and nothing is working. It also keeps heating up and I am concerned. I did not drop it between use this morning and it going black. Please help. Solution: The first thing that you will need to do in this particular case is to simulate a battery pull. This is done by pressing and holding both power and volume down buttons for at least 10 seconds. Once this is done your phone should restart. If it doesn’t then proceed with the following troubleshooting steps listed below. Charge the phone for at least 20 minutes. In case the phone does not charge the try using a different charging cord and wall charger. Attempt another simulate battery pull then check if the phone will start. Try to check if the phone starts in recovery mode. If the phone starts in this mode then you will need to do a factory reset from here. Take note that the reset will erase your phone data. Solution: The purple spot that appears on your screen and is spreading is most likely caused by the display being broken. You can however check if this is just caused by a software glitch by backing up your phone data then doing a factory reset. In case the problem still occurs after the reset then you will need to bring the phone to a service center and have the display replaced. Solution: You will need to dry this liquid naturally by leaving the phone for at least 48 hours in a warm area. You can also place the phone in a bag of rice for at least 48 hours. The rice will absorb the moisture inside the phone. Once the liquid disappears you will need find out how this liquid has entered the screen. The best way to do this is to bring the phone to a service center and have it checked. I had the same issue as stated in the first complain ref to Gear VR. It kept reminding to correctly fit the device in the gear plus the screen would go off with a sound. This can be tried as it resolved my issue. Hey, my note 5 will not charge through the USB port. I have tried several things on your site and others, but am still having the problem. Sometime it charges with wall charger as well however after getting black screen of oculus vr setup it does not support the charger. Automatically getting black screen for couple of seconds. When the Gear VR asked to install again, I let it, and didn’t log in, but it started charging again.